Tropical Storm Debby swept through Florida this weekend and impacted the home of the Class A Advanced Clearwater Threshers, Brighthouse Field. 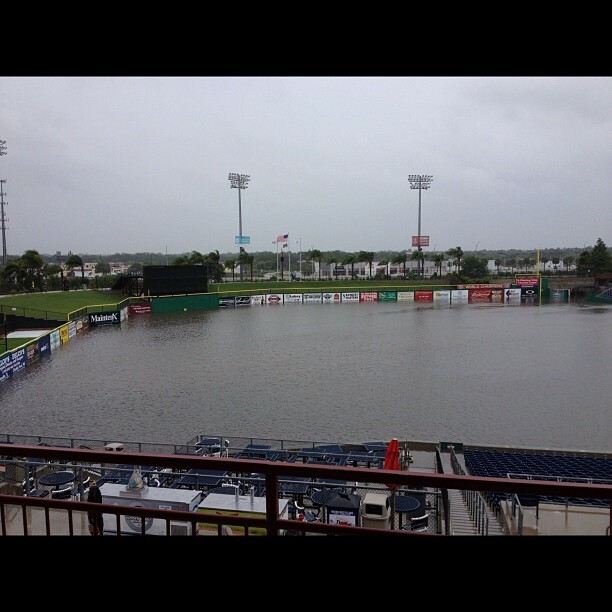 In these images tweeted by rehabbing Phillies reliever Justin De Fratus, the flooding left by the heavy rains can be seen. With lingering effects of Debby expected to continue to drop moisture on Florida through Monday, it is unclear exactly how the team's schedule will be affected, as the Threshers are on the road until Thursday. 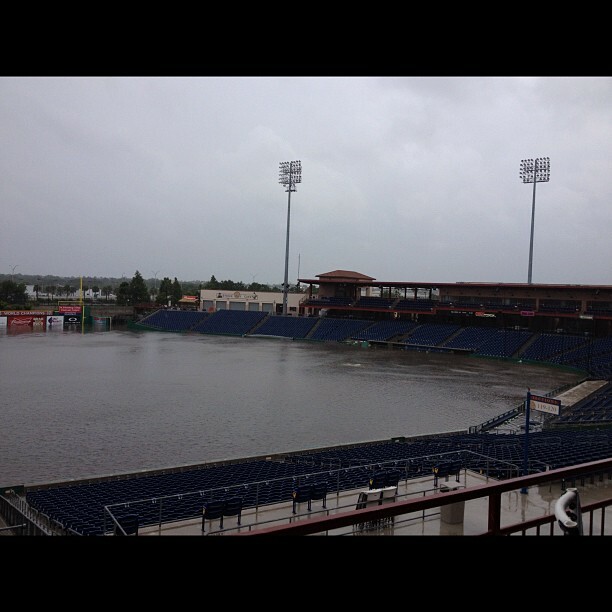 The Gulf Coast League Phillies, who also play in Clearwater, have home games scheduled for Tuesday and Wednesday. 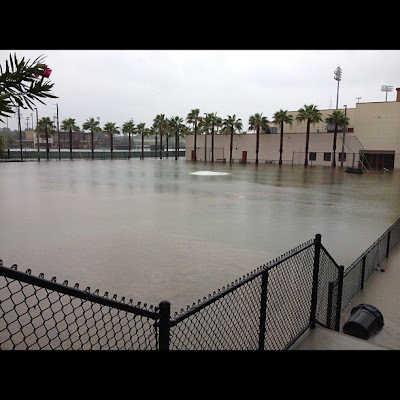 The GCL team plays most of its games on the neighboring Carpenter Complex field. Reportedly, other ballparks in the region were affected in similar fashion as well. De Fratus, a right-hander, who is recovering from a strain in his throwing elbow, threw from a mound on Thursday and Saturday and is progressing well. The 24-year-old De Fratus is feeling just fine and is happy to be taking his rehab process slowly, so as not to experience any further setbacks.